The violin is a successfully electrified violin. On the whole, a vast number of people hear violin in music only via an electrically powered broadcast device. Just about wherever they are in the world, people are still loving the sound of the Violin, but more often than ever before as an instrument emanating via radio broadcast or other hi-fi playback device. The sound of the violin somewhere right now is entirely satisfactorily being heard by satellite-telephone signal directly and effectively being piped directly to people’s senses by discreet in-ear headphones. Long gone it seems to have those same senses purely acoustically agitated. It has been a fantastic century for the Violinist since electric audio records began and today, the reverberations felt by over three Generations on the one-hand have gathered seismic proportions and completely engulfed; on the other, the subject of Electric Violinists has at last broken the surface and taken a huge gasp of air. At times, and not so very long ago the Electric Violinist did not exist – official, period. Generally now, at some point between violinist and audience electricity is present and this the case almost out of necessity. The case for using electricity was simply too strong and a dam burst. In flooded untrained fiddlers, self-taught and by the book, “criminally” anarchistic, deluded and deranged. The Rule Book shattered – the Violin no longer existed as a cool or powerful instrument at the head of the orchestra. It was way too weak as many of a new generation were not interested enough to take it up or continue very long. Being such a sonically restricted musical instrument maybe off-putting, but with a mic, pick-up or built-in, total electric device, the violin back then became and it still is electric, despite the record of ridiculous and pointless refute. Some of the instruments played by some of the best known Violinists today are of course acoustic violins. However, they are captured electrically and subsequently edited, spliced, tuned, enhanced, squashed and inflated beyond arguable measure as actually still being, or in fact humanly possible to define as acoustic. And that is the point at which the audience is then given access to the sound. It is with immense happiness then that this chapter of the database is discovered to exist. For years the Classical Violinist has been able to measure degree of attainment and stature against the tradition which stretches back to the beginnings of recorded Violin history. The Electric Violinist, as a musician playing an instrument not generally perceived as Classical has a much shorter period to take their measure. Although there remains question as to whether the electric violin is classical enough for the electric violinist to be considered a Violinist at all. Using the traditional methods of critical examination in determining what is the highest level, still the Profession of Electric Violinist does not then properly exist. The claim of Master of Electric Violin then does not mean much to many and sadly, they have not really cared enough for it before either. However, these opinions and others wanting only to find destructive points of view here are deliberately taken to task and then rightly dismissed as failures. An old stance has finally been evicted! In learning Violin today then – be it following; finding; being directed towards; through studying those trusted and respected methods; from material relating to the violin – familiar names of Amati, Corelli, Stradivari, Paganini, Vieuxtemps, Ysaye, Heifetz etc. etc. crop up again and again. They are rightly claimed as important within the field of Violin, but the list really does go on and on. With current day cataloging citing many more names; a veritable roll-call of Legends are easily found when exploring the Greatest and Best Violinists. There is no such history considering electric violin of course? It is largely thought still too new a subject and profession to learn about to the same degree. Something like a very long list is appearing however and is already receiving growing serious attention, right now. The Internet reveals it as a continuously growing database, hauling together all manner of figures alive and dead, covering a time-period exceeding living memory. Of course, there is disinformation causing confusion, as well as there being glaring holes, and unfortunate omissions and, or mistakes! So, the violin story is filled with myths and legends; and the story continues and parts repeat. With some good sifting and concerted searching, very real Violinists emerge at the end of many a labyrinth of the virtual paths making up strands of the Internet. And given the passing of time, improvement is made to the database and eventually most holes, omissions and mistakes will be removed. It will all be gone in forever, of course. The choice, who to include? Deciding is not easy. This work is not about promoting any player over another but some level of personal bias can not be completely eradicated . This Digital Violin Database exists only to show the story of the electric violin from the beginning to where it is today and in doing so hopefully prompting questions of what and who comes next. It is of no real concern if choices made are met with surprise, ridicule or disappointment etc. ; and it would not be a total surprise if it is met with no reaction at all. Such instances are meticulously catalogued already. 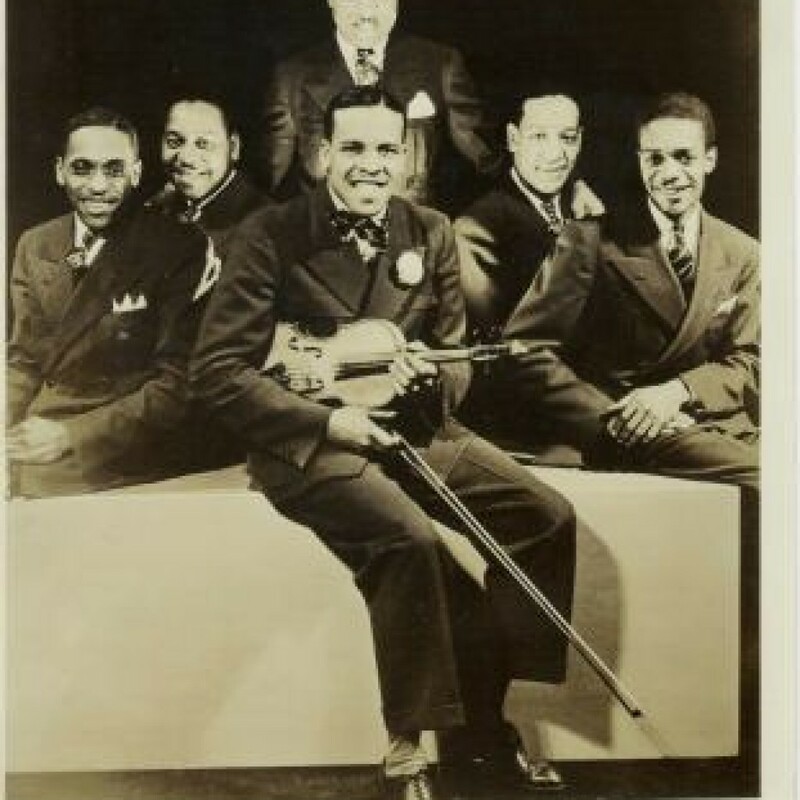 As little is generally known about the huge variety of music played using violins with electric music technology, so the following players included here represent a broad mixture of famous, infamous and obscure. Their music may or may not be to your taste, but for the seriously interested in being electric violinist and for those studying electric violin this chapter needs to be explored thoroughly and taken much further afield. There are many violinists who perform and record using electric violins. Most have to and not just at some point in their career, more often than not. Yet in some circles and in the first decade of the 21st Century at least, the huge breadth of music within the scope of electric violin did not apparently include Classical music. This, of course, is totally untrue. As the mid-point of the second decade was reached a small number of electric violinists noticed their profession had attained a Century of history. There have been countless brilliant acoustic violinists both before and during the development of electric violin playing as a profession. Most are given ample space in an equally ample amount of easily found publications so are not mentioned here. 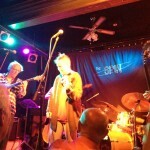 Many have also worked with acoustic and electric recording techniques and are stars in the eyes of many but even so, they are not given space here. The quality of the music made on record or on stage by just one of the giants of the more recent Classical Violin world, Jascha Heifetz is always going to be a debatable issue because there is such a wealth of audio, visual and written material available to study – The RCA label released a 65 CD boxed set at the end of the 20th Century! Curiously, because Heifetz often worked within the strict boundaries of the electrically driven recording studio he was by some definition of the word an electrified violinist. Heifetz was filmed too, and could not really escape from this. Perhaps then, this is why he appeared so emotionless in performance, even coldly calculative – Heifetz knew there was a recording device present and he played to it, including it in his performance? Also, Heifetz’s technical ability is open to microscopic inspection because of the music technology available during his career – as too is the violin playing of Flesch and Menhuin. Joachim and Ysaye were also captured using recording techniques, but possibly none then as thoroughly as Heifetz. Obviously too, Thibaud; Kochanski; Korngold; Kubelik; Oistrach; Rabin; Ricci; Perlman; Accado et al must included in this list and should really be studied… But, there is not time, not in anyone’s life to thoroughly learn from all the Great Players that Great Teachers insist the budding violinist to seek out. The respected figures so fleetingly mentioned here then and those left out completely would ideally be included but are not at the present time. There is a greater need, to show something of the huge amount of music created with electric violin by electric violinists. Although a definition of each term is yet to be generally decided upon, there is a large and growing number of violinists who choose electric over pure acoustic. Declaring the number to be too small to be of interest or concern ignores fact. Hole and nit-picking is welcomed, by all means, find who is here wrongly represented, missed out or grossly over-rated and make your voice heard. The decisions ultimately made then, lingering somewhere around including violinists who were electrified by choice and excluding those arguable examples based on those who are elsewhere, or may already be well documented. All considered, both ways, this document is broad and eclectric but incomplete and the factual details given expected to contain unintentional disinformation. Such is the lot of the researcher having to rely on what was chosen to be recorded and how. When beginning a search for electric violinists, those that readily turn up might be considered the most popular or currently in vogue. Sally Potterton, Alexandra, Kate Chruscicka, Caitlin De Ville or Lindsey Stirling. These are the violinists that must be considered but only just to start with. There are other extraordinary violinists exploring the violin from the completely electrified angle. For example, Ritsu Katsumata, Julie Lyonn Lieberman, C. Spencer Yeh, Samara Lubelski, or LaDonna Smith. These latter examples found taking a deeper look and considering the bigger picture, including those at the peripheray of mainstream public gaze and even the most challengingly experimental. But these really must be taken as just ten examples of many possible. Here then is the violin finding new summits and broadening horizons. The electric violin might still be found as King of the Orchestra. Electrical discovery that led to the earliest pickup, amplification and speaker system has been discernably validated. It has simply found hugely wide use, being not at all something uncommon in general practice for some decades now. The sound of the electrically amplified violin is only going to be the one general public hear more often now than not. However, it is not true to say that this violin heard is ever really understood as being electric. Opinion is found to exist that although there is a point when using electric microhone/pickup technology that the acoustic violin becomes electric, this point of change is not thought to come about simply when the microphone is present. And, although an electric violin can be considered to be an instrument completely reliant on electrical circuitry to be heard, where that circuitry is found and the impact it has (if any) on or to the violinist is still being hotly discussed. There are thankfully violinists on the very edge of their own definition, exploring a region where noise, sound and music meet. Talent and training seems to evaporate, the self taught and rigidly disciplined inter-mingle freely. What is produced by these fascinating players is easily missed as even coming from violin, and understandably so. Therefore, people have been, are and will unfortunately be missed. This is not at all uncommon in the story of the development of the violinist as it is known and understood as the pure Classical profession, or to that matter, not an unusual scenario for violinists from any genre. It naturally takes time to explore and then also the reporting back is always suspect to questioning. “Don’t rock the boat” and “If it ain’t broke why fix it” attitudes belong to the tried and tested, generally commercial mainstream and have no place here or for any seriously minded Electric Violinist. Risking contradiction though, mainstream and commercially successful violinists too are seen and heard in a dizzying array of fashions that are as different as the output of the contemporary violinist. Some of the mega-stars obviously survive the limelight longer and make a deeper impact than the majority who are relatively short-lived and fleeting. The big names thus make ripples beyond reaching printed and recorded media formats to impress their efforts somehow on the minds of future generations. These Historical people and because they are, or were well known and established form their own set of particular problems for the explorer. Being the problems and difficulties experienced by any new violinist trying to break into the profession. Violinists, more often than not support a general expectation that a violinist be able to play music that is typical of violin, In doing so they further uphold the barrier between what can and can not be done in violinistic terms. And, in consequence those who are not generally accepted as playing violin music, at best do not get noted for their violin playing, at worst are ridiculed, tagged sub-standard, even rubbished. Pity the violinist who runs from the unknown only to fall short of the mark in terms of being able to do what is known as acceptable violin playing! Should we hope that they give up before they become over-whelmed by the terror of their position, or encourage violinists to brave the void? So, who are the real explorers of violin today, and who paved the way before them whether partially or in whole? Michał Urbaniak, Jon Rose and János Négyesy emerge as prolific and active exponents of electrified bowed strings in the early 21st Century with clear roots over thrity years ago. Their work has been tagged Experimental and Underground but with current interest and support from more mainstream-alternative-independent record labels; theirs is a significant contribution to realising the true potential of the amplified bowed string. There are certainly others – C. Spencer Yeh, Michael Griffen, Eric Ostrowski, Rinji Fukuoka, Kuwayama and Kijima… a list quickly develops. The worlds of experimental and electronic sounds meet in a ball of confusion when it comes to collecting a definitive list. That is part of the joy and wonder of exploring the unknown. It is also full of pit-falls and the line between Masterpiece and dross is very fine indeed. Also, people come and go having never been found during their lifetimes only to pop up posthumously as having done something extraordinary for their time. Studying the right now is impossible. Even going back only as far as three decades reveals a simply incomprehensible cross-branching and complex inter-connection of references both weak and strong. Yet this is the all important evidence for future generations. Contemporary, when considered in the present is a knotty thing. To find the leads that have the deepest roots means broadening the scope and taking in music that can at once be immediately and in unexpected ways off-putting, maybe. This study has searched for roots found in early 1990s, the Current players – when electric violin was still very much being considered “New”. This led to discovering deeper roots found in the late 1960s/early 70s – when electric violin was appearing to many as “Brand New”. However, these roots proved to reach further back still, to the earliest Electronic Music, Jazz, Country, Avante-Garde, Dance-Hall, and Easy Listening of the 1930s-60s – when the term electric violin was entirely alien to most. There are many who have played electric violin in the recording studio or as an unusual occasion. These people are barely credited even on recordings. Just like the Stroh violin, there may be some really exciting music hidden because of this failure to record effective data. Many violinists and many yet to appear, are known from audio and a few visual recordings only. The LP, CD and cassette sleeves sometimes contain valuable information about the player and the instrument being played. So the work of many players must be considered and search results, over time, as the subject becomes more ever more widely accepted and explored will turn up more interesting results. One of the earliest and arguably, greatest recorded violinists embracing the new electric-technology was Hezekiah Leroy Gordon Stuff Smith. A “violinist, not a fiddle player” in his own words, also a singer and songwriter. He went electric as early as 1936. A fair amount is known about Stuff Smith’s life mainly due to the work of one person and friend of Smith. 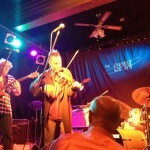 Anthony Barnett, a writer and musician has published all his research and memories of knowing the violinist personally – two books “Pure at Heart”, 1991 ; “Desert Sands-the recordings and performances of Stuff Smith”, 1995 are available – Barnett also publishes a series of improvisation studies for violinists as well as a wealth of informative material on Violin related matters. Smith attracted Jascha Heifitz, Duke Ellington and many others to his performances – most of whom he played and recorded with. Heifitz sometimes accompanied Smith at the piano. According to Anthony Barnett Stuff Smith “almost always played electrified violin” from the 1940s onwards. Smith died on the 25th September, 1967. He pioneered the use of an electrically amplified violin. Arguably unparalleled and the most well known, widely accepted and incredibly successful violinists of today. A violinist taught by Yehudi Menuhin. 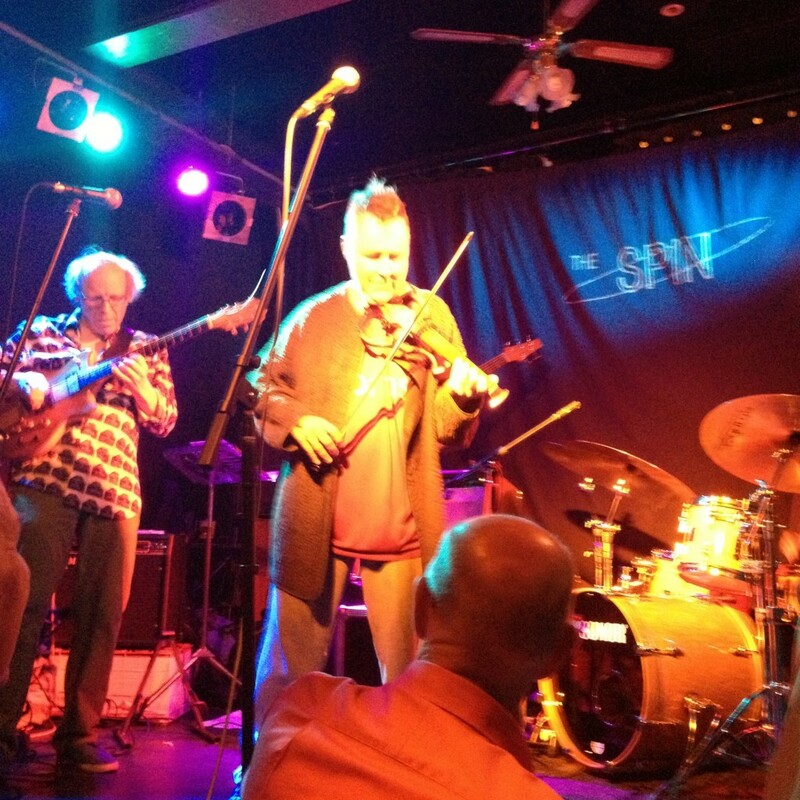 Nigel Kennedy has also come under much attack for his work. He dominated the limelight of the violin and classical profession during the second half of the 1980s and well into the 1990s before taking what seems to have been a quieter position in the public-eye. His recording of Vivaldi’s Four Seasons achieved record-breaking sales world wide, topping both classical and popular record sales charts for weeks, staying in the charts for over a year. 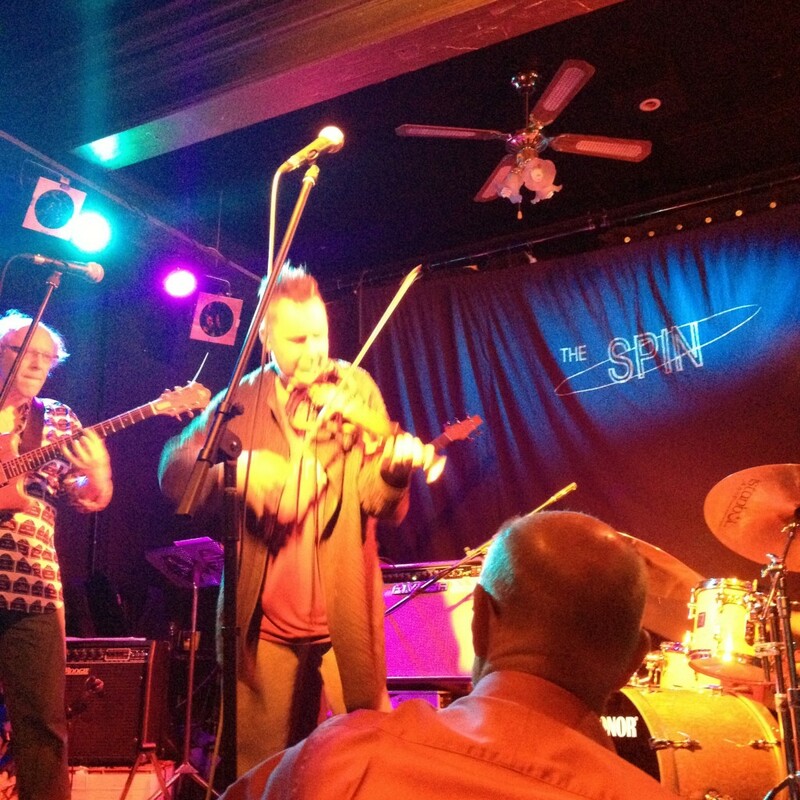 Jean Luc-Ponty has possibly gained acceptance as the first virtuoso electric violinist. His recordings and collaborations cover many types of music, broadly Jazz, venturing successfully in to fusions of types of Rock and Experimental forms. From recordings, the potential of an electric violin is quite thoroughly explored, certainly more so than other violinists in this field, making quite extensive use of “effects”. His notes sparkle with accuracy and he has the light agility important when playing the electric violin. Ponty was an early exponent of the still virtually unexplored Digital Violin and was one of the first violinists to promote the ZETA violin’s MIDI capabilities. Conrad worked as part of a “collaborative enterprise with John Cale, Angus MacLise, La Monte Young and Marian Zazeela” known as “Dream Music” in the early 1960s. Conrad was involved with Fluxus. Tony Conrad’s writing as a player makes for very interesting and enlightening reading (e.g. Halana magazine, 1997). Hearing his recordings with no preparation for what is in store would quite likely be quite a shocking and confusing experience. His approach to the violin is rooted in a study of drones and combination tones. Conrad has a frightening ability to sustain unwavering combination tones achieved through absolute dedication and the embracing of high gain amplification of the bowed string. The working content of Conrad’s article is demonstrated on an accompanying CD, simply called ‘July 95’. It is brutal and harsh, revealing the players homing in on ( or allowing?) and developing a huge harmonic field, with long sustained differential tones at the limits of perception. “ It isn’t easy to play well at first but once you have mastered this fiddle it is fantastic… It means that the violin can take full part in the jazz orchestra at last… Yes it is formidable.” November, 1952. Yet, in 1984, when Grappelli performed at Wavendon Stables, near Milton Keynes, England; he was seen playing a blue electric instrument, possibly with a silver bridge and he expressed not liking it really. Grappelli was much happier when away from “all these tricks, all these amplifiers, all these wires you catch your feet on”, preferring “the true sound”. Stuff Smith and Grappelli can be heard recorded together on ” Violins No End ” Paris 22/06/1965 (amongst a few other recordings). 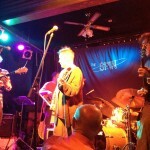 Pete Hartley has toured the UK extensively as a busker and session musician. First recording on a cassette release, “Two sides of me”, in 1985. 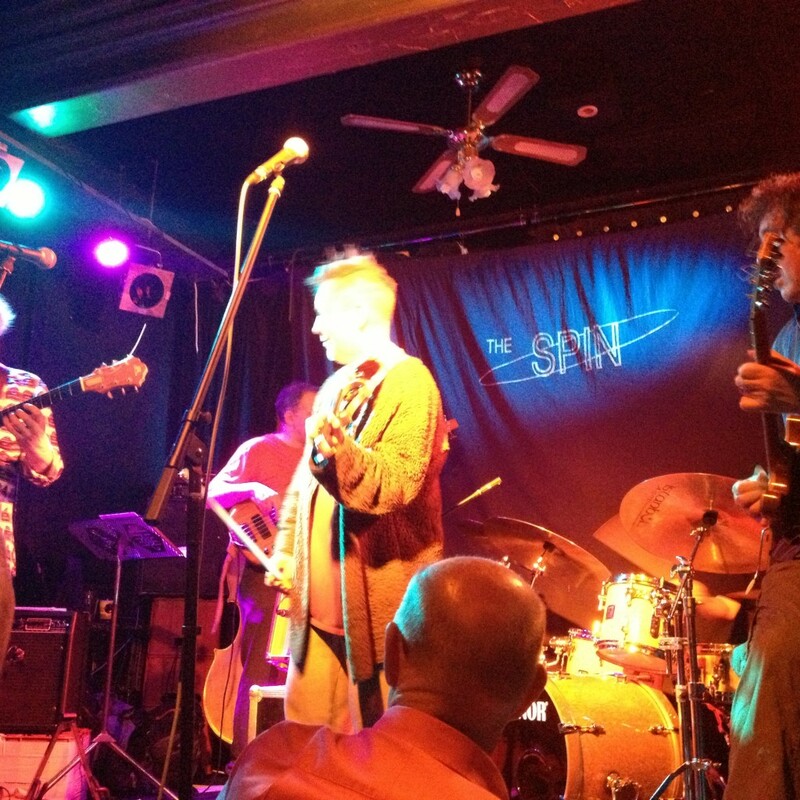 The music is gypsy-like with jazz, blues and other world music influences. From the cassette insert we learn that Hartley plays electric, acoustic and baritone violins. The instrument is skeletal maintaining an familiar outline-shape. 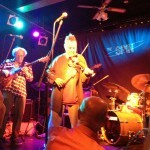 By the mid 90s Hartley was using a stick-like six-string Violectra violin, utilising multi-effects. His style as a solo performer is almost Kreisler like – he has created great success playing well-known classic songs with pre-programmed accompaniment as well as playing in groups. His control of wild effects and a tender tone give way to a biting attack with the bow reminiscent of Stuff Smith. Hartley drives his music along at the edge of complete abandonment of any traditional technique. He is a very confident player in all positions and makes effective use of pizzicato (& left-hand), chord playing, slides ornamentation and minimal vibrato. “From what I can tell, he’s somewhere in the rock/fusion category… violin designed with heavy-metal-guitar-like spikes for upper bouts” – Schuss. Johnson plays a 5-string instrument designed and built by himself. It appears to have a long neck, unrestricted to within about two inches from the end of the finger-board. The instrument appears to use a Zeta pickup and has machine-heads rather than pegs. A solid-bodied instrument finding possible roots in Beauchamp, and Miessner. The album recording “Purple Violin Concerto”, on Equation Records (1992), gained considerable commercial success. A solo recording, “completely live” and “with no over-dubs” makes extensive use of long, looped delay sequences which he uses as accompaniments to melody. Very Vivaldi-esque with passacalia and variations, rooted in folk rock, at times verging on ambient, “new-age”, sound-scapes. Another recording “Ultra Violet” is very similar. There are lots of fantastic things about this recording. Within minutes, Johnson sets up a delightful texture, switching between the more traditional ‘folk’ sound, highly effected sounds with an almost religious quality. His compositions may wander, but there is always a perfect moment for Johnson’s music. He appears self taught – like the majority of electric violinists – and is sensitive to the subtlety of the instrument e.g. his gentle pizzicatos allow the strings to speak and create glass-like textures in amongst heavily distorted “guitar-like” sounds. There are currently nine solo albums available via Johnson’s website. Renowned for his fusion playing technique, developed around his double necked, 10-string electric violin of his own design and built in 1980 by a luthier Ken Parker. “The lower neck corresponds to the double bass and cello range; the upper includes the violin and viola range. With its two separate volume controls and stereophonic pickup, it has a very clean sound.”(Schaefer,1990). Shankar describes it as an instrument with potentially many “amazing” textures. The ability to play a stringed instrument in all ranges is made possible with the use of electrical devices – note Paul Bizos’ Superviolin, 1931 with a pick up that enabled it to play in the ranges of all bowed instruments. The recordings available of Shankar demonstrate “a jazz/world blend” type of music. Co-founder in 1976 of the group Shakti with John McLaughlin. Shankar has also recorded solo albums and undertaken collaborative work with Frank Zappa ; George Harrison ; Peter Gabriel ; and Talking Heads. His playing style is unique, I have heard that he sometimes balances the scroll on his toes whilst sitting and playing. 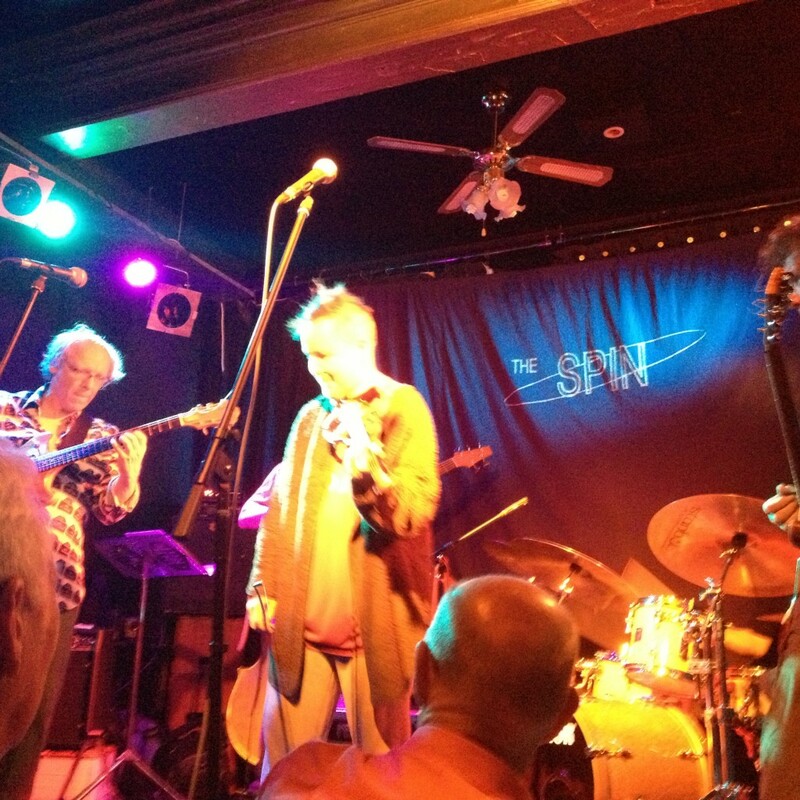 in a variety of ways, from rock to jazz” – Schuss. She succeeded completely in commanding the attention of a mainstream audience, with highly choreographed body movements, including flicks of the bow, grimaces and a sort of hip dancing. Her technical ability as a traditional violinist is at once obviously a very high standard. Especially considering her young age when she received great media attention, she sadly appeared to be treated as a glamour model on stage flirting with a much more interesting electric violin. One of Mae’s albums features a version of Bach’s famous Tocatta and Fugue. This was released as a single and was ‘Top of the pops’ for a while. It is completely spiced up. For a demonstration of the electric violin as a viable instrument we have to thank Vanessa Mae for being there and receiving world wide acclaim. But as a contribution to the electric violin being an instrument taken at all seriously by violinists? Rock & Blues violinist, died 1994. Notably a singing electric violinist. This is the rare but growing example of a very unusual type of performing artist. Singing whilst playing is not of course new to the violin. Tartini did write in the 18th Century that the two arts, singing and violin playing should be kept distinctly apart. Maybe this was a mis-translation ? Papa John Creach has a lovely, easy-going blues voice. Very subdued, quite deep and velvety. His violin playing is quite a contrast. He melts into the texture invisibly, at times fooling the ear into hearing guitar notes, then he can bring out the unmistakable solo violin line or turn it into a very remarkable trumpet/horn section. Groovy, funky blues with big disco appeal. In exactly the same way that Ed Alleyne Johnson created his solo violin sound, on the other side of the globe, in Australia, Vylinda was exploring similar textures and techniques in recording a single “Face The Future” and album “The Kiss” (Chimera 6001). Key instrumentalist in the sound of groups Hawkwind, High Tide and the Third Ear Band. One time member of David Bowie’s band and featured electric violinist with David Sylvian’s group Japan. The recordings of High Tide date back to 1969 placing House at the beginnings of the wider recognition of electric violin. Between then and the mid 1990s, House played on many key albums and toured with some notable groups and artists. He has created a number of solo albums (Yassasim, 1994; Spiral Galazxy Revisited, 2000) and continues to work on electronic music projects.